KIEV, Ukraine -- Ukrainian President Petro Poroshenko said Thursday he wanted EU and US help in securing Crimea's return from Russia and vowed to win back the separatist east this year. Ukrainian President Petro Poroshenko says Kiev will regain Crimea by 2016. 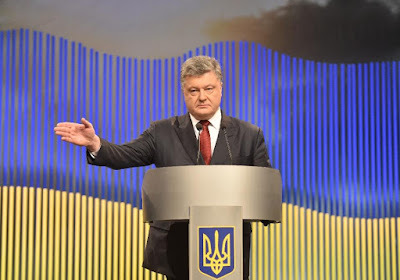 The bold announcements by the pro-Western leader came with Poroshenko facing building public pressure to end Ukraine's brutal 20-month campaign against pro-Russian insurgents and simultaneously to stand up to Moscow's annexation of the strategic Black Sea peninsula. Poroshenko provided few details about how exactly he intended to win back Crimea -- a tsarist-era Russian naval base that Moscow annexed just weeks after the ouster of pro-Kremlin Ukrainian president Viktor Yanukovych in February 2014. He told a wide-ranging press conference that Kiev intended to launch an "international process" aimed at restoring the war-ravaged and economically faltering former Soviet nation's original borders. "The fight for Crimea's return remains a priority," the 50-year-old political and business veteran said. "It is my profound conviction that the best format for starting this process is the Geneva-plus format that includes our EU and US partners and possibly the signatories of the Budapest Memorandum." The 1994 document assured Ukraine of Western and Russian protection from foreign invasion in return for scrapping its Soviet-era nuclear arsenal and accession to the Non-Proliferation of Nuclear Weapons Treaty (NPT). The pro-Moscow insurgency in the industrial regions of Luhansk and Donetsk began in April 2014 and was immediately linked to alleged efforts by Russian President Vladimir Putin to keep the new Kiev leadership off balance and reliant on Moscow's good will. Putin denies direct involvement in the conflict but also admitted in December that Russia had "people there who carried out certain tasks including in the military sphere". 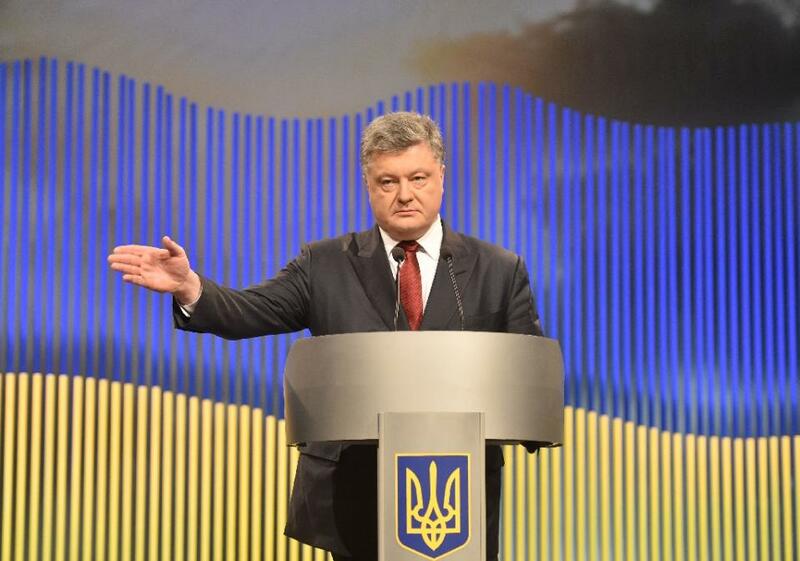 "We have irrefutable evidence from both satellite imagery and video footage captured by our intelligence service showing that the Ukrainian border was crossed by Russia's latest military equipment and armed forces units," Poroshenko said. Months of laborious European-mediated negotiations have failed to bring a complete halt to a war that has now claimed more that 9,100 lives and left some of Ukraine's most important coal mines and steel mills in ruins.